The Church Council of Greater Seattle mourns the loss of the renowned, beloved pastor and leader, the Reverend Dr. Samuel Berry McKinney, who passed away on Saturday at age 91. Known throughout the United States and internationally for his work for civil rights, Rev. Dr. McKinney guided Mount Zion Baptist Church for 43 years, from 1958 to 1998, and again from 2005-2008. The congregation grew to 2,500 members under his spiritual guidance, preaching, and commitment to the building up of the community. His was the most prominent voice in Seattle for the promotion of social justice for the African American community and all people in the City of Seattle and throughout the state. 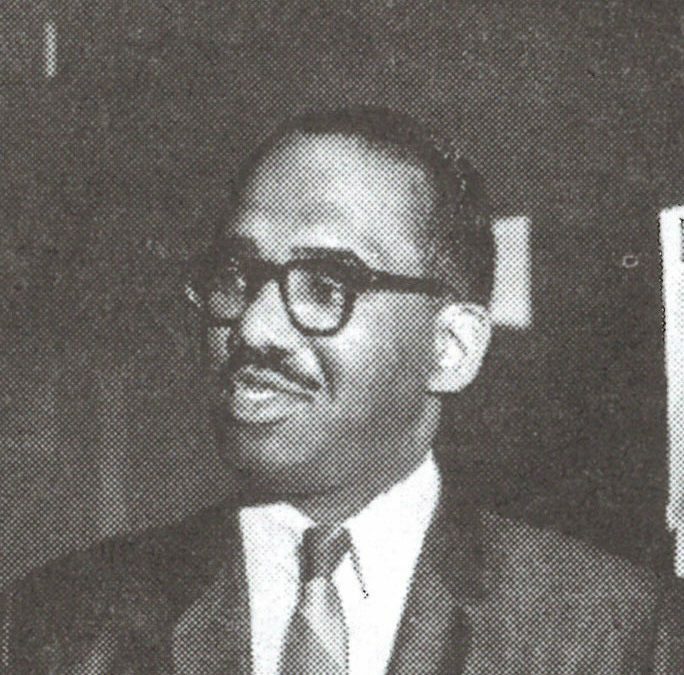 The Reverend Dr. McKinney served as President of the Church Council Board of Directors during the 1966-67 year, the first African American to serve in that capacity within the Council. He played a prominent role in ending redlining and promoting open housing in Seattle, worked successfully for the desegregation of Seattle’s schools, started a bank to serve the African American community and founded Seattle’s Opportunities Industrialization Center. As the community gathered this past week at Mount Zion for the 50th Anniversary of the assassination of the Rev. Dr. Martin Luther King Jr., it was duly noted and celebrated that it was the Rev. Dr. McKinney who invited the Rev. Dr. King to come to Seattle for his first and only visit in 1961. The Reverend Dr. McKinney will be remembered and honored as a great champion and towering figure in making Seattle and the region more equitable and just in practice, not just in word. A signature scripture passage of which he was fond applied to him par excellence: “What does God require of us? To do justice, love mercy and walk humbly with your God” (Micah 6:8). Embodying this message for the world to see, Rev. Dr. McKinney indeed lived as a man of God, walking in the way of Jesus, repairing the breach, and galvanizing church, city and nation toward the Beloved Community. The Church Council and all within the Rev. Dr. Martin Luther King Jr. County are indebted to the Reverend Dr. McKinney for his life and the transformation generated in all of us. The memorial service for the Rev. Dr. McKinney will be on Tuesday, May 8, at McCaw Hall. It will also be livestreamed by Kiro7. Eulogists and participants for the Celebration of Life Service include but are not limited to Mayor Jenny A. Durkan; Rev. Dr. Otis Moss, Jr.; Dr. Rev. William Shaw; Dr. Rev. Marvin McMickle; and, Santita Jackson, the eldest daughter of Rev. Jesse L. Jackson, Jr.